The GZ-S line of Heger coarse crushing systems highly efficiently crushes bulky mouldings made of EPS (Styropor®), XPS, EPP, EPE or PUR into 20-50 mm sized small pieces. The material can be processed further with supplementary compression or fine crushing systems from Heger. 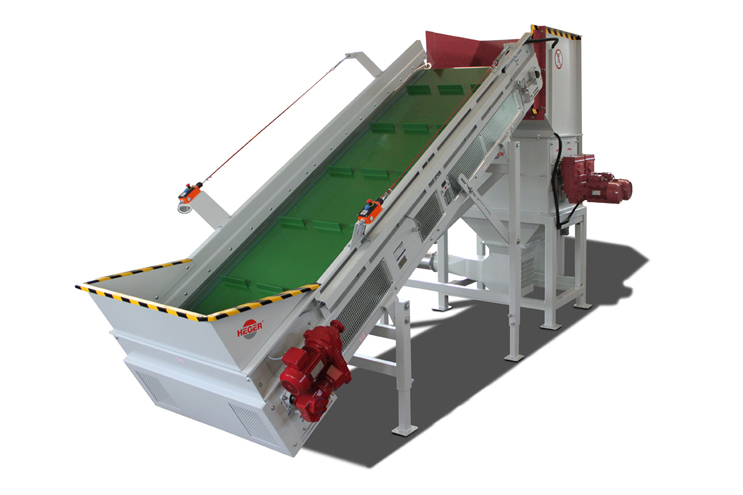 The GZ-S line of coarse crushing systems is especially designed for high throughput capacities. 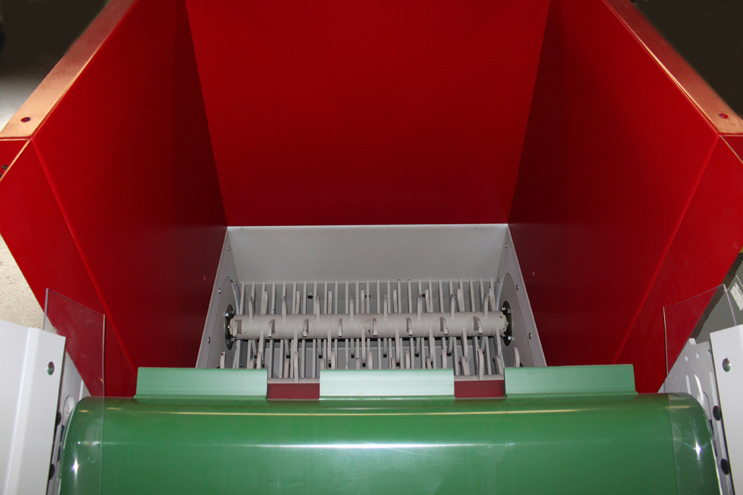 A feeding belt which allows the system to be filled even more efficiently is the perfect supplement. 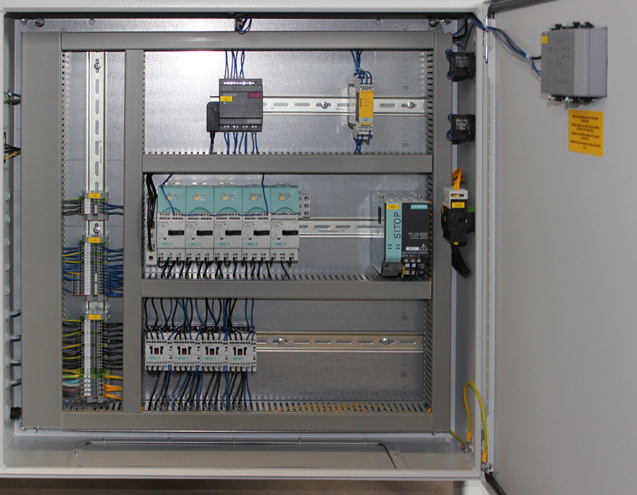 To ensure maximum operational safety of the machine, only high-quality components from reputable manufacturers are integrated in the control cabinet. 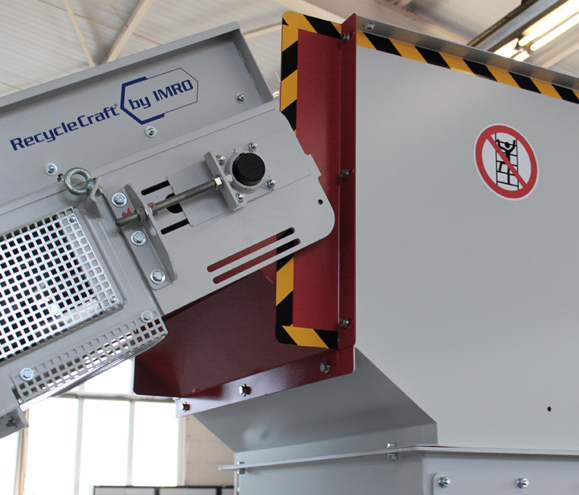 A suction shoe integrated in the heavy-contaminant absorber below the primary crusher reliably filters foreign objects such as metal pieces, stones, glass or wood out of the production flow. Thus damage to the blower and downstream machines is prevented. 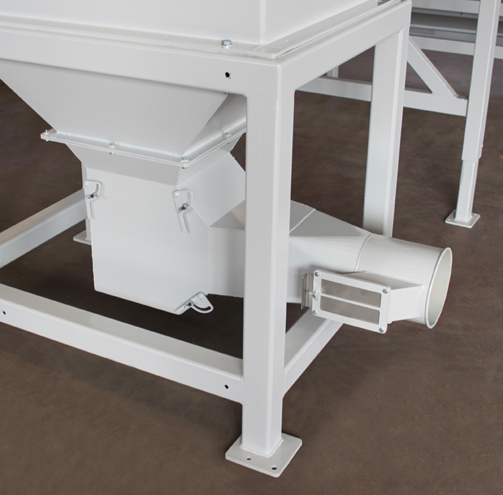 A variety of feeding hood models are available, including hoods for manual filling, for feeding belts, for very long parts or completely soundproof hoods.